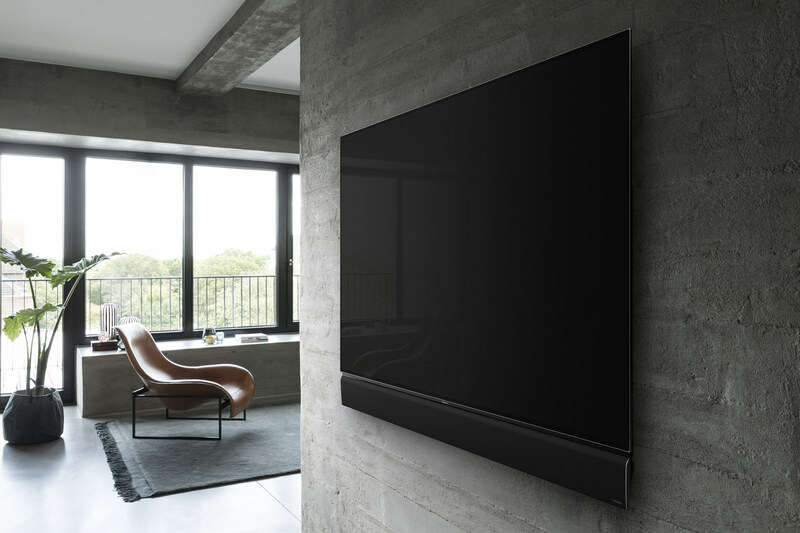 Building on the numerous accolades garnered by its 2017 OLED screens for their extremely accurate pictures, Panasonic is delighted to announce its 2018 line up of OLED televisions, comprising four new models across two ranges. The phenomenally successful 77-inch EZ1000 continues from 2017 and is joined in 2018 by the FZ950 and FZ800 ranges, both available in 65-inch and 55-inch screen sizes. Featuring new OLED panels, combined with the newest generation of Panasonic's Hollywood-tuned HCX video processor, the FZ950 and FZ800 provide significant under-the-hood advancements. The four new models will be the first OLED screens available in 2018 which support HDR10+ dynamic metadata technology and able to stream several hundred hours of Amazon Prime Video HDR10+ catalogue. To deliver the very best audio quality, the FZ950 range is complemented by the addition of a 'Tuned by Technics' Dynamic Blade Speaker – a deceptively thin audio system optimized by Panasonic's acclaimed hi-fi brand to deliver a refined and powerful field of sound. To match the exceptional TV pictures of the FZ950, Panasonic has developed a beautifully elegant and sonically compelling sound system. Sporting a 'Tuned by Technics' logo, the Dynamic Blade Speaker uses audiophile grade Hi-Fi components and offers best-in-class sound for an integrated TV speaker. With no less than eight multiple speaker units (four larger woofers, four squawkers and two tweeters, plus a quad passive radiator to boost bass) and 40 per cent increased volume, the Dynamic Blade Speaker was developed in conjunction with engineers from Technics – Panasonic's acclaimed audio brand – who were involved at every stage of the process, from mechanical and electrical circuit design through to sound tuning. Satisfying the demands of the most proficient of gaming enthusiasts, Panasonic's FZ950 and FZ800 screens have evolved to offer an enthralling 4K HDR gaming experience thanks to our quickest-ever response times. The screens' dedicated Game mode uses exceptionally fast image processing to deliver crisp, finely detailed images, even with fast-moving 4K and HDR games that require quick reaction times. Elegant and with an air of refinement, Panasonic's OLED screens are designed to the highest standards using only premium materials. Designed within the umbrella of Panasonic's 'Art & Interior' ethos, the FZ950 and FZ800 have been fashioned with dark metallic finishes. Without any visible seams, they appear to float above their stands, which also elegantly hide their powerful sound systems.